Phonographic Copyright (p) – Prairie Ocean Inc. Licensed From – Prairie Ocean Inc. Distributed By – Sony BMG Music Entertainment (Canada) Inc. Published By – Sonotrack Music, Inc. Published By – Prairie Ocean Inc. Published By – Under Zenith Music, Inc.
Track 1 [published by] Universal Music Publishing Ricordi Srl / G. Ricordi & Co. (London) Ltd. Produced for A Side Productions. ℗ 2007 Simco Limited exclusively licensed to Sony BMG Music Entertainment (UK) Limited. Track 2 [published by] Apple Publishing Ltd. / Warner Chappell North America. ℗ 2006 Simco Limited exclusively licensed to Sony BMG Music Entertainment (UK) Limited. Track 3 [published by] Songs Of Nashville DreamWorks (BM), adm. by Cherry River Music / Diversion Music (BMI), adm. by Cherry River Music. ℗ 2003 BMG Music. Track 4 [published by] Avril Lavigne Publishing LLC / Almo Music Corp. (ASCAP) / Sonotrack Music, Inc. / EMI Blackwood Music, Inc. (BMI). ℗ 2007 RCA Records, a unit of Sony BMG Music Entertainment. Track 5 [published by] EMI April Music, Inc. o/b/o Smelly Songs / 12:06 Publishing (BMI) / SmellsLikeMetal Publishing (BMI) / Dwight Frye Music, Inc. (BMI). ℗ 2004 19 Recordings Limited. David Hodges and Mark Colbert appear courtesy of Epic Records. Ben Moody appears courtesy of Wind-up Records. Track 6 [published by] Angelou Music (ASCA) / Lily Makes Music (ASCAP) / Right Bank Music Inc. (ASCAP) / Roditis Music (ASCAP) / Universal-PolyGram Int. Publ. Inc. (ASCAP). ℗ 2007 Zomba Recording, LLC. Track 7 [published by] Chris Perry (SOCAN) / Write Off / Sony/ATV Music Publishing Canada (SOCAN). ℗ 2007 Sony BMG Music (Canada) Inc.
Track 8 [published by] Aaron Edwards Publishing adm. by EMI April Music Inc. (ASCAP). ℗ 2005 Sony BMG Music Entertainment. Track 9 [published by] Sony/ATV Publishing / Rob Wells Music (SOCAN) / Ekul Music (SOCAN) / Universal Music Publishing / Kalan Porter Music (SOCAN). ℗ 2007 Sony BMG Music (Canada) Inc.
Track 10 [published by] Prairie Ocean Inc. (SOCAN). ℗ 2007 Prairie Ocean Inc. Courtesy of Prairie Ocean Inc.
Track 11 [published by] Sony/ATV Music Publishing (UK) Ltd. ℗ 2004 Jaydone Ltd. trading as Relentless Records under exclusive license to Virgin Records Ltd. Courtesy of EMI Music Canada. Track 12 [published by] Realsongs (ASCAP). ℗ 2005 19 Recordings Ltd.
Track 13 [published by] Neverwouldathot Music / Under Zenith Music Inc. / Sony/ATV Music Publishing Canada (SOCAN). ℗ 2006 Sony BMG Music (Canada) Inc.
Track 14 [published by] BMG Music Publishing Ltd. / Chalmers "Spanky" Alford Publishing Designee / Genetic Music (BMI) / Jake And The Phatman Music / Ugmoe Music (ASCAP). Contains an interpolation of "Catch Me I'm Falling", published by Genetic Music (BMI). ℗ 2007 Virgin Records America, Inc. Courtesy of EMI Music Canada. Track 15 [published by] Gator Baby / EMI Blackwood Music Inc. (BMI) / Kobalt Music Publishing Ltd. / WSRJ Music (ASCAP). ℗ 2004 Sony BMG Music Entertainment (UK) Limited. Track 16 [published by] Specific Harm Music adm. by Sony/ATV Tunes LLC (ASCAP). ℗ 2006 Aware Records LLC. Track 17 [published by] Lellow Productions / EMI Music Publishing, Inc. (ASCAP). Produced for KrucialKeys Enterprise / MBK Entertainment. ℗ 2003 J Records, a unit of Sony BMG Music Entertainment. This compilation ℗ 2008 Sony BMG Music (Canada) Inc. Artwork © 2008 Unilever Canada. Distributed by / Distribué par Sony BMG Music (Canada) Inc. Printed in / Imprimé au Canada. This package consists of previously released material [inlay]. This compilation ℗ 2008 Sony BMG Music (Canada) Inc. Artwork © 2008 Unilever Canada. Distributed by / Distribué par Sony BMG Music (Canada) Inc. Made in / Fabriqué au Canada. This package consists of previously released material [disc]. 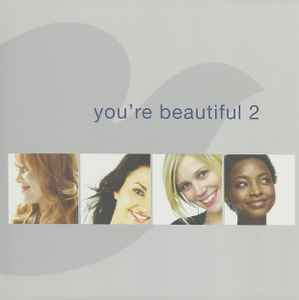 A portion of the proceeds from every sale of this disc will benefit the Dove Self Esteem Fund. Track 9 appears as "Destination" on the inlay, the full title appears in the booklet. Mark Colbert has an 'appearing courtesy of' credit in the liner notes, but his role is not specified.